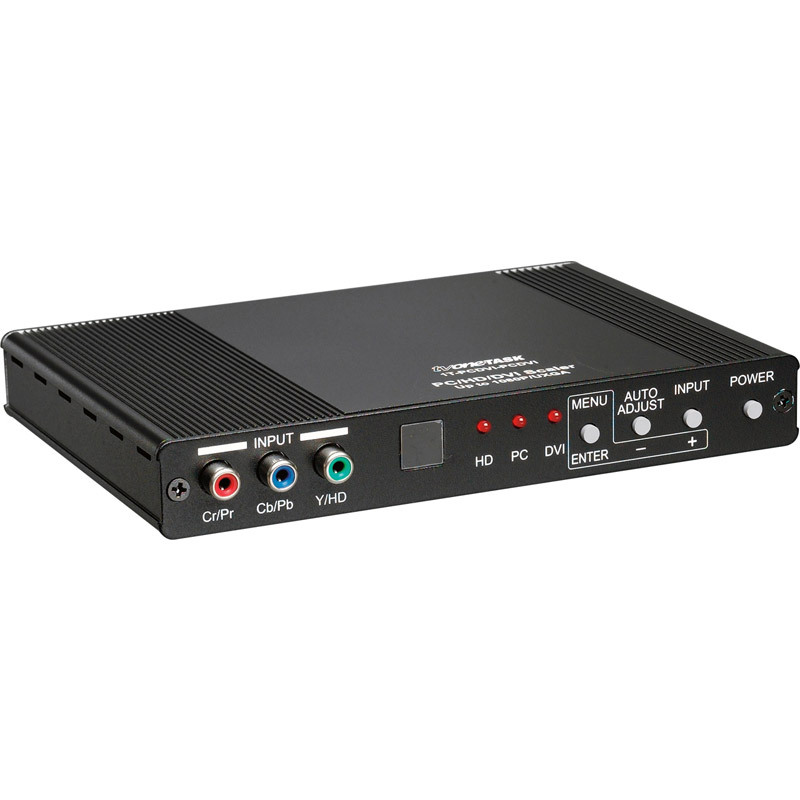 1T-PCDVI-PCDVI TVOneTask Video Scaler is a high bandwidth, professional PC/Component/DVI to Digital DVI scaler that accepts PC generated RGB signals (up to WUXGA), HD Component signals (480i up to 1080p) and DVI signals (up to WUXGA) and scales them to a DVI or PC output of 1080p/WUXGA. 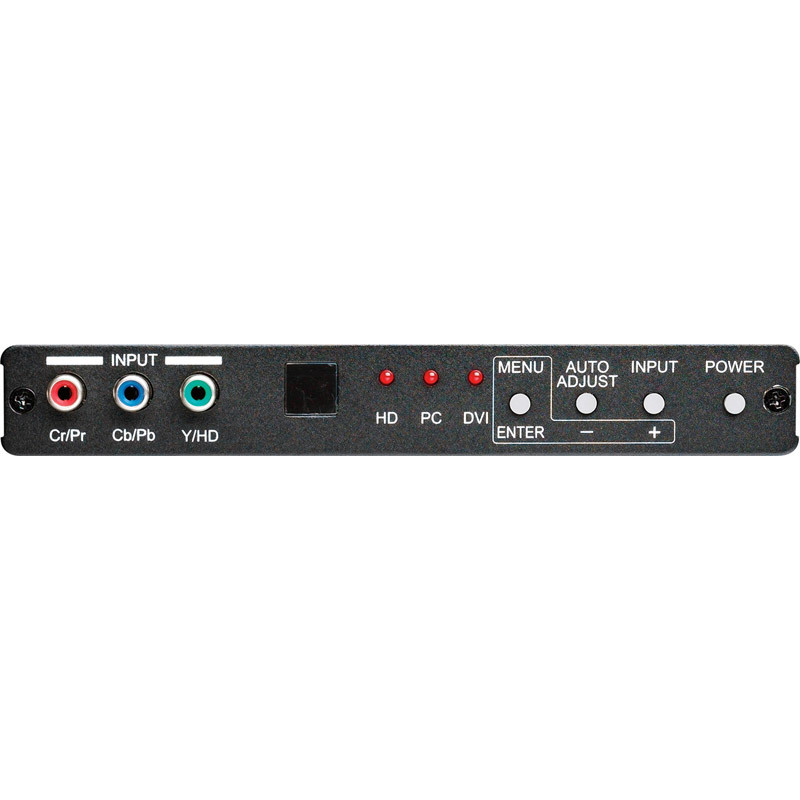 The inputs are DVI plus Analogue PC or HDTV in the formats of RGBHV, YPbPr, YCbCr and the outputs are digital DVI plus PC/HD. 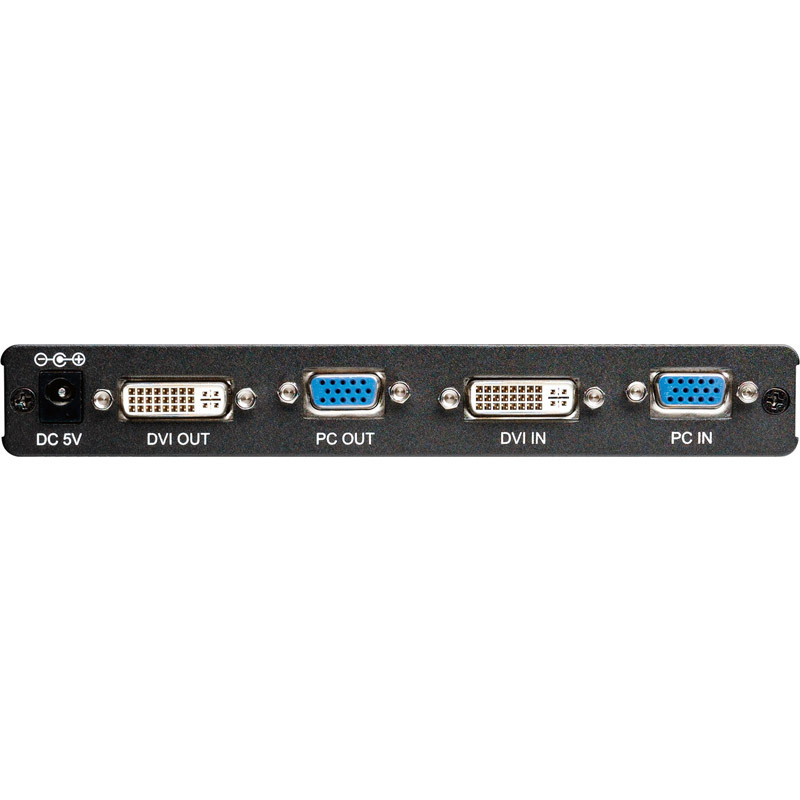 Outputs are 480i through 1080p or VGA to WUXGA.